Starter Sessions are an excellent way to be introduced to the sport of Canoeing. Starter Sessions are an excellent way to be introduced to the sport of Canoeing. You don’t need to have any previous canoeing experience, specialist kit or skills…just come and have a go! 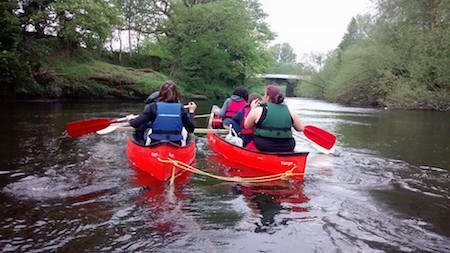 If you have been canoeing before, these Starter Sessions are a great opportunity. Perhaps it has been a while since you were last on the water or maybe you want to share your passion, and introduce family and friends to the sport? Whatever your motivation, Starter Sessions will provide an ideal opportunity to get out on the water and try canoeing. All equipment will be provided on the day so you don’t need any specialist kit to take part. We recommend wearing comfortable clothing, such as light tracksuit bottoms (not jeans) and layered tops, as well as any water/windproof over layers and a pair of old shoes (with secure fastenings) which you don’t mind getting wet – no flip flops. Check the weather before leaving the house to ensure you take clothing to suit the conditions. If it is sunny, don’t forget to wear waterproof sun cream (we recommend a minimum of factor 30) and a hat, as the reflection of the sun off the water can be strong. It is also worth bringing a spare change of clothes to travel home in, just in case you get the odd splash off the paddle. £10 for a canoe (for 2 people) £8 for a double kayak or £10 for a single kayak. Payable on the day.